Fight the effects of no sleep with Premium HyC 150 - All Chucked Up! Sleeplessness or lack of sleep. Whichever of these two keeps you company at night, the negative effects to one’s body are the same such as advanced ageing and a weak immune system. 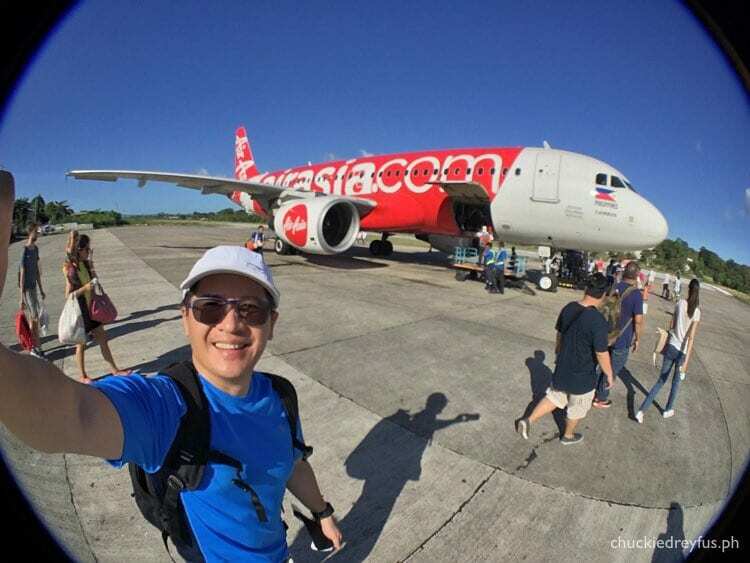 In my line of work, whether blogging until the wee hours of the morning, staying up from morning till next morning for a taping of a TV series episode, or traveling locally or out of the country with a tight itinerary, lack of sleep is a common (and very frequent) thing. 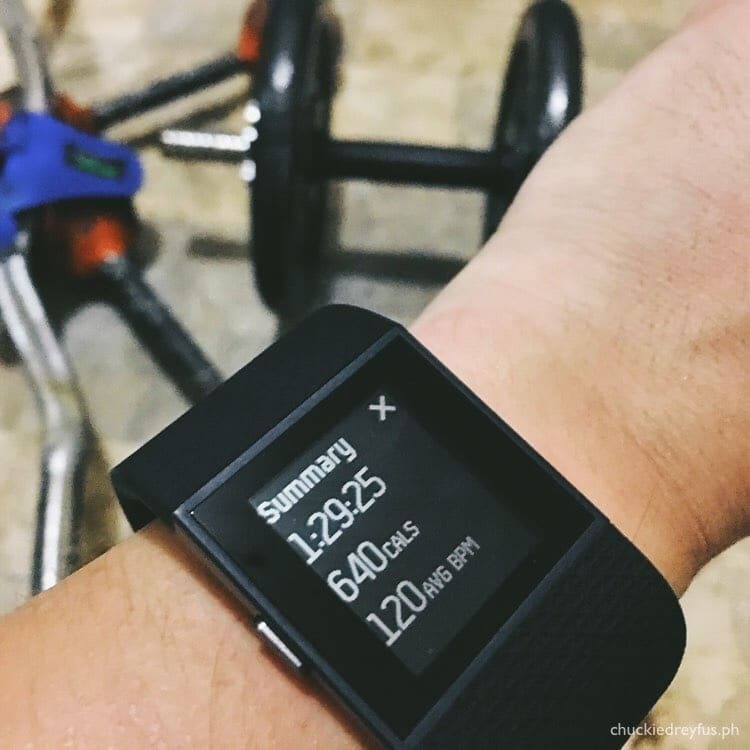 And as much as regular exercise and having an active lifestyle is important, it is critical to have enough sleep as well. As much as I’d like to get ample rest in order to recover from a stressful and hectic day, sometimes that just isn’t possible. I’m sure a lot of you can relate – especially those who work late nights employed at call centers or BPOs. Some of you have probably even resorted to snacking on junk food and coffee, or worse, smoking, during the very late hours just to stay awake and alert. Here’s the thing… I found out that the body’s immune system undergoes a natural cycle of rest and repair from 10pm-3am. This corresponds to the natural sleeping hours of the day. However, the nature of my work and probably yours, too, does not allow for much rest during these hours. It doesn’t take a genius to know that a weak immune system easily leads to sickness. This is the very reason why I started taking a supplement – particularly a collagen drink – to minimize the effects of early ageing and improve my well-being. 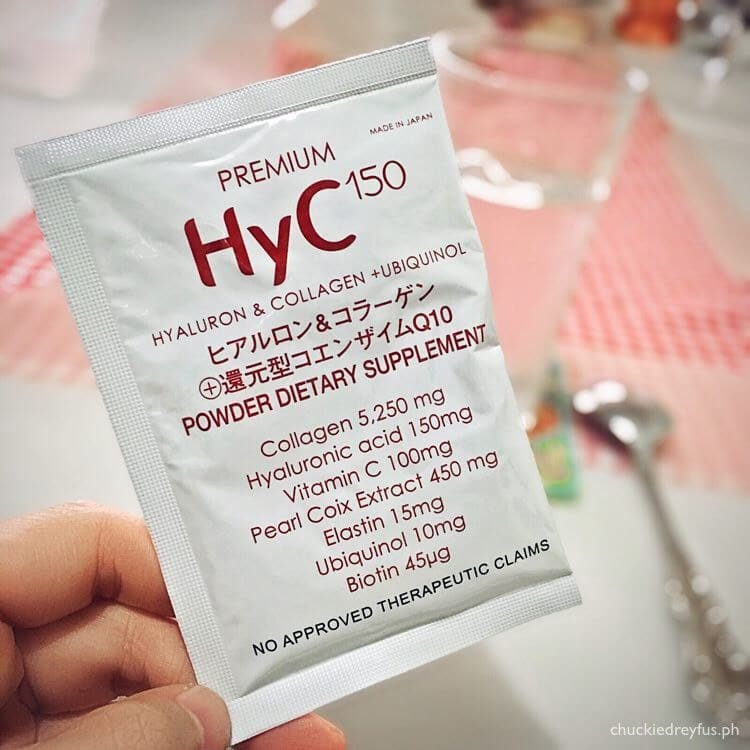 My collagen drink of choice is Premium HyC 150. And before you think that I’m hard selling a product and ramming it down your throat, you should know why I truly believe in this supplement… and also because I trust that Premium HyC 150 will help you, too. Premium HyC 150 has been regarded as a modern-day “fountain of youth” which helps in managing the effects of ageing. It acts as a weapon to staying healthy, vibrant and radiant while providing strength and vitality to meet the challenges and demands of our lifestyle. I can never stress enough how important it is for one to have a nourishing collagen drink. 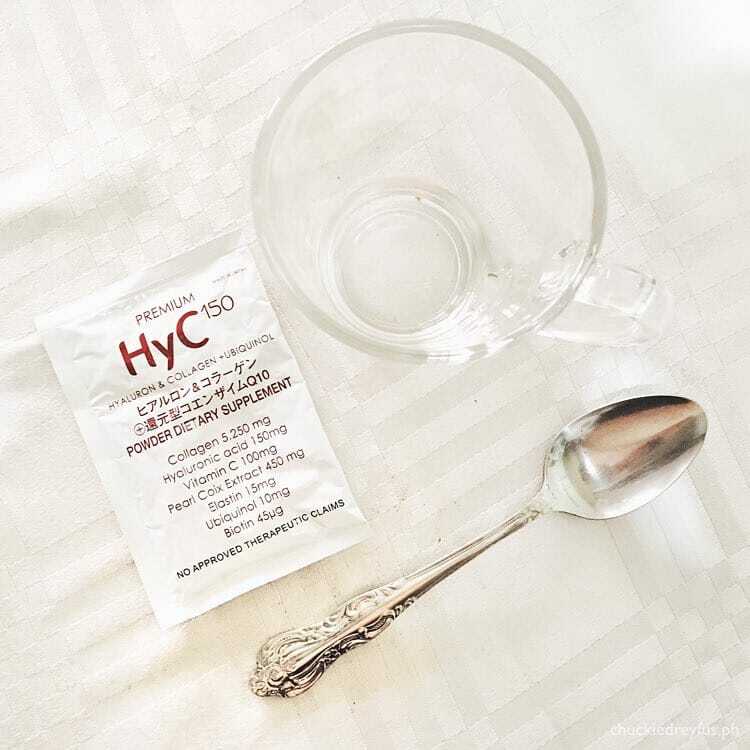 I take Premium HyC 150 so that my body’s immune system can repair itself so I can maintain a healthy, youthful skin and body. Premium HyC 150 works wonders because of its high content of hyaluronic acid (HA) ubiquinol and collagen. And a good dose of Vitamin C into the mix which is needed to regain the youthful and healthy glow of your skin. Apart from that, the high collagen content in nano form allows for easy absorption by the body. Need more convincing? No problem. Collagen is needed to maintain the structural scaffolds of tissues and organs. You see, when we age, we slowly lose these “scaffolds” causing our skin to sag, thin and wrinkle. 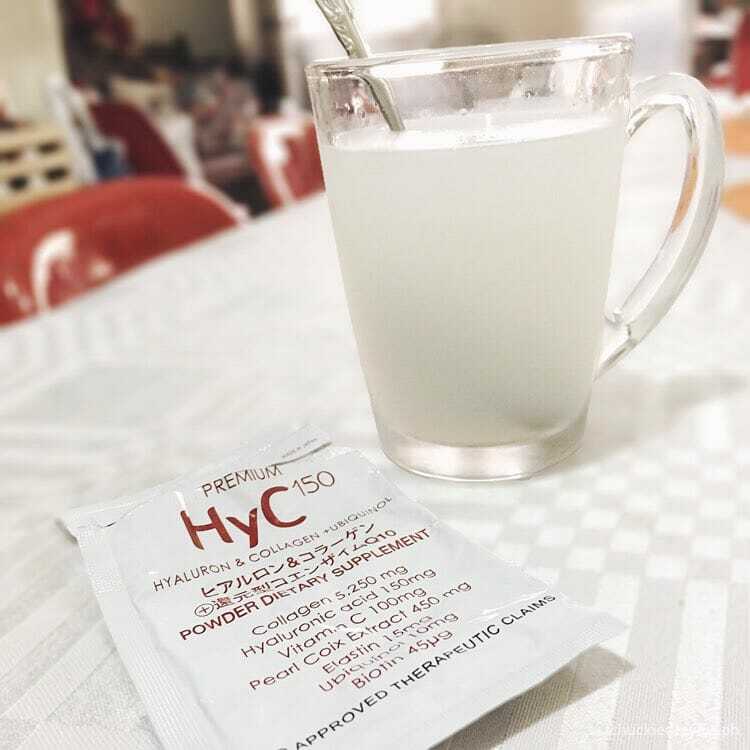 It is worth noting that Premium HyC 150 is the ONLY collagen drink that contains 100 milligrams of essential Vitamin C needes by our bodies to fight infections and strengthen our immune system. Also, as we age, our metabolism slows down causing us to look fat and sluggish. We don’t want that, do we? Premium HyC 150 has co-enzyme Q10 (ubiquinol) that fights endocrine problems caused by ageing. Apart from all these, Premium HyC 150 also contains pearl coix. What is pearl coix, you ask? Well, pearl coix is an ancient remedy used by women in Japan during the 16th and 17th centuries to maintain healthy skin, nails and hair. It also has anti-allergy properties that can be used for treating skin diseases such as acne and other swellings. Let’s face it, who doesn’t want to look young and healthy? If you want your body to serve you well and endure the demands of the kind of life you lead, then it’s high time you seriously consider taking good care of it. And besides… a beautiful skin is a person’s reflection of a healthy and youthful body. Endure the stress and sleepless nights without looking (or even feeling) like it. It’s possible! Try taking Premium HyC 150 like me and find out why I really depend on this product. Start investing in good health because as cliche as it sounds, health truly is wealth. Premium HyC150 is available at selected Watsons stores nationwide, and online at Lazada Philippines at www.Lazada.com.ph. For more information, you can check out their website at www.HyC150.com and Premium HyC 150’s official Facebook page. Follow them on Twitter and Instagram (@HyC150) or call (02) 5467297, 0917-7750779.